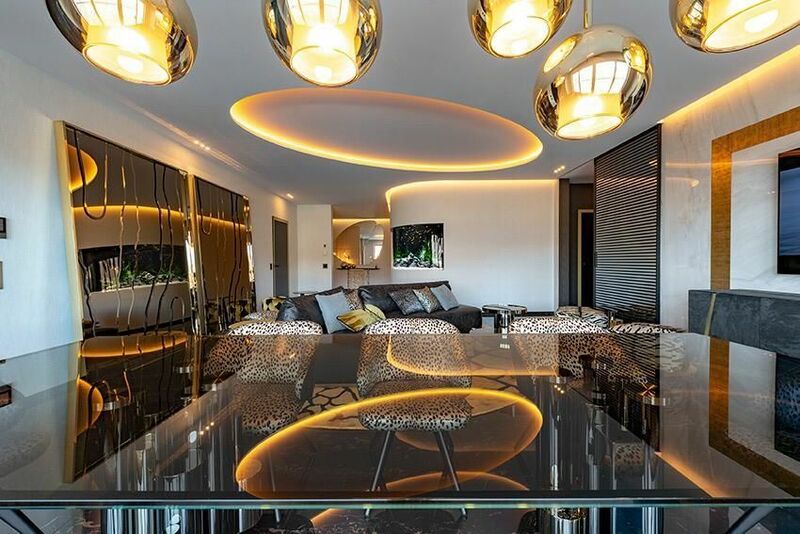 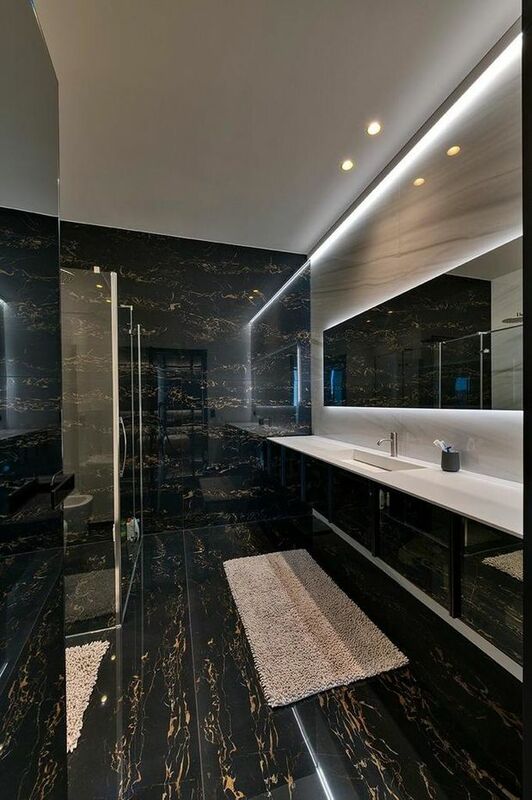 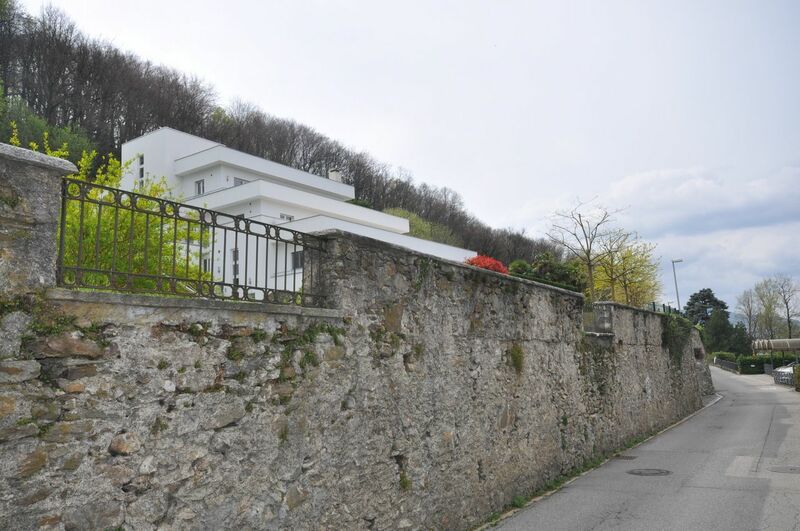 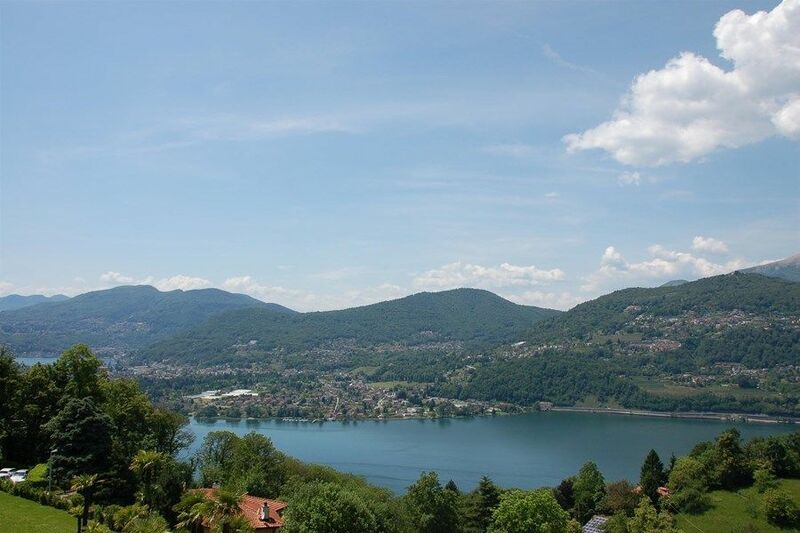 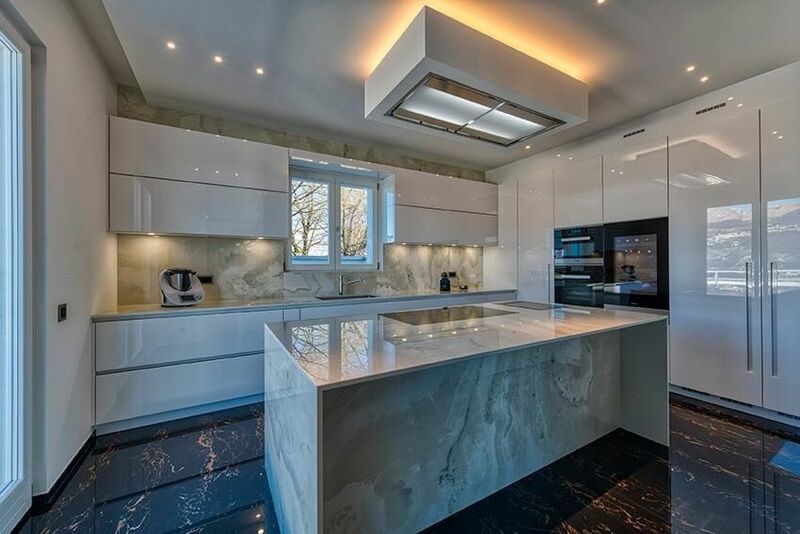 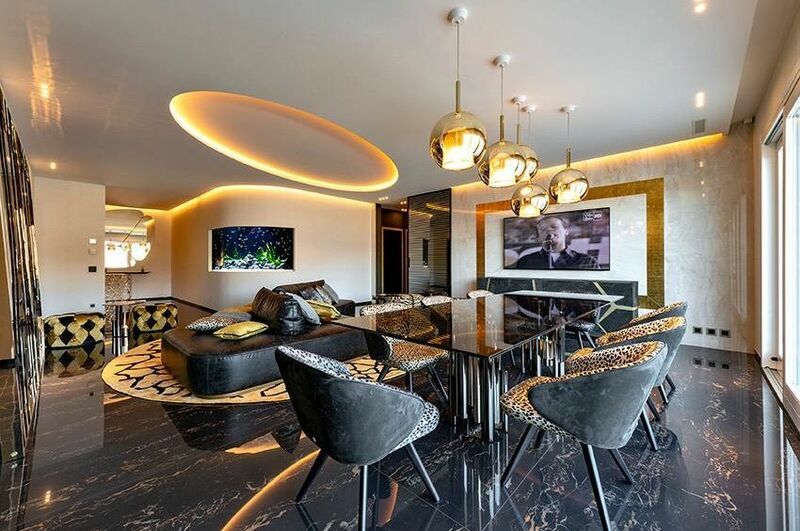 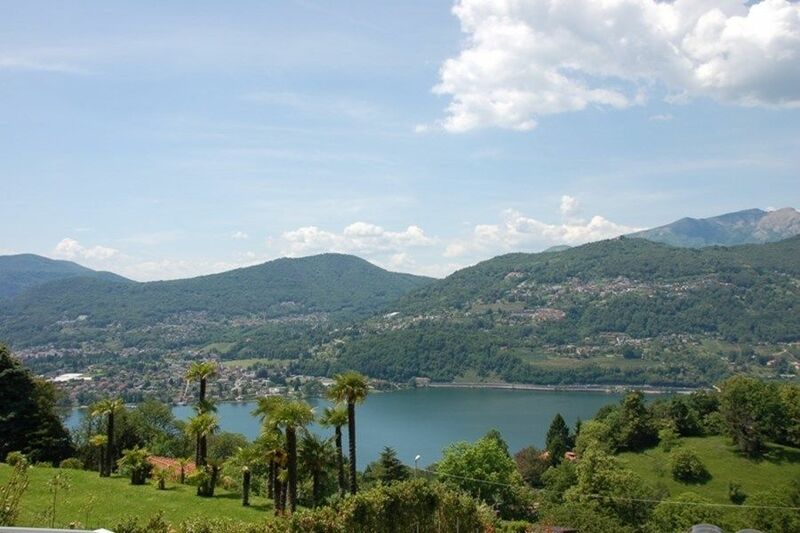 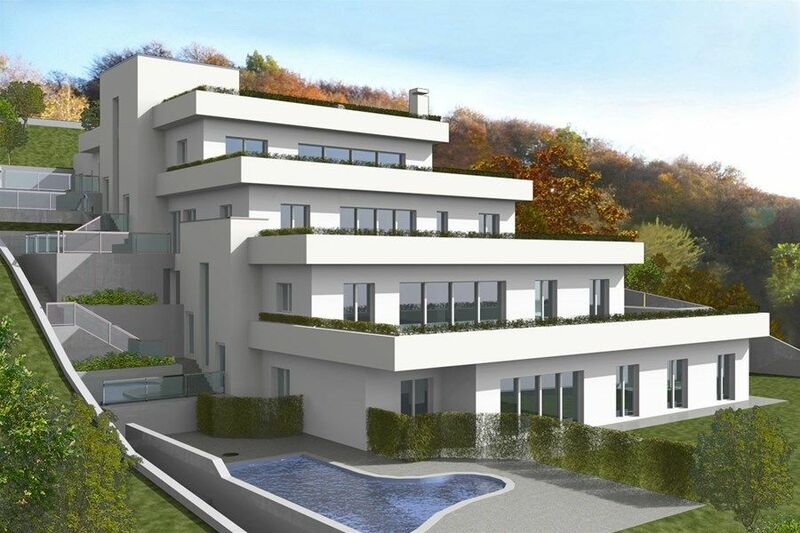 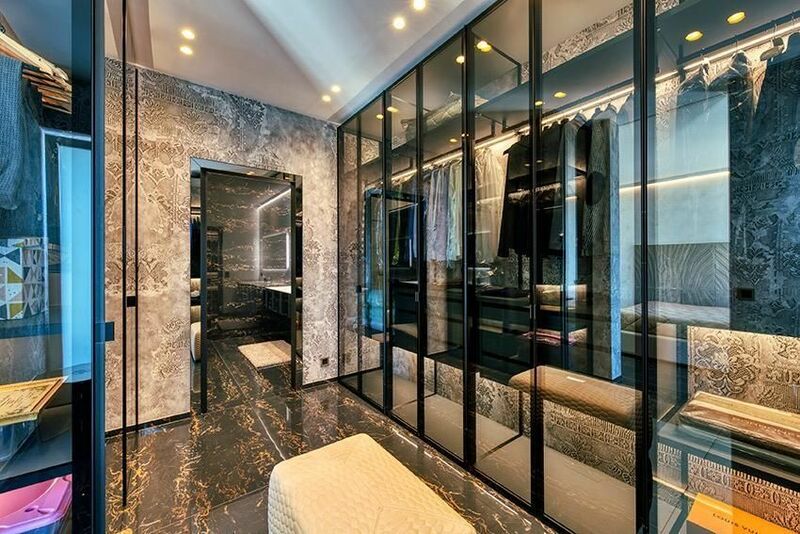 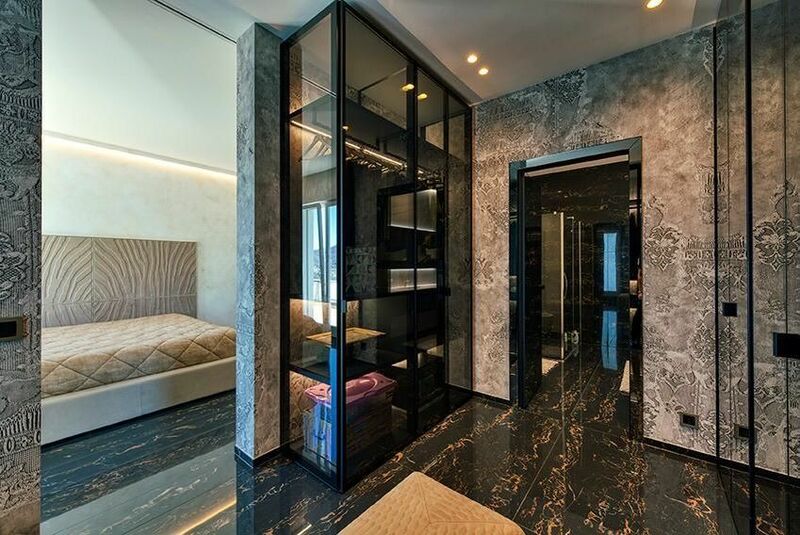 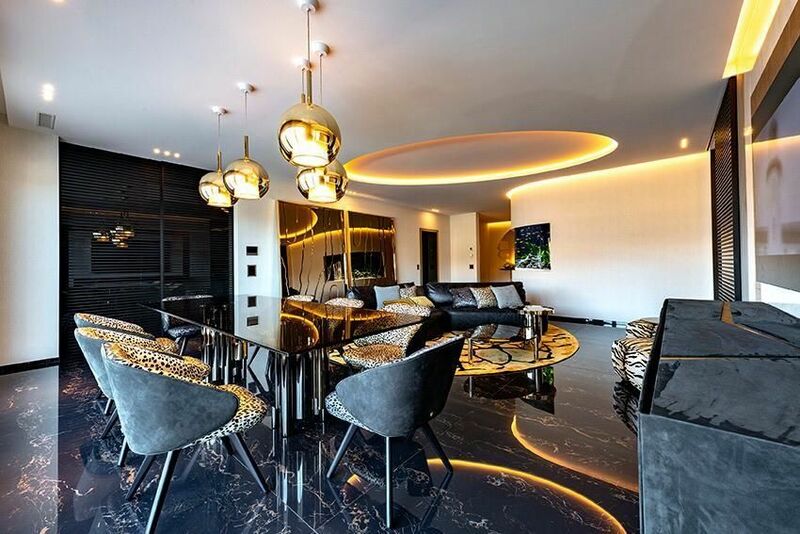 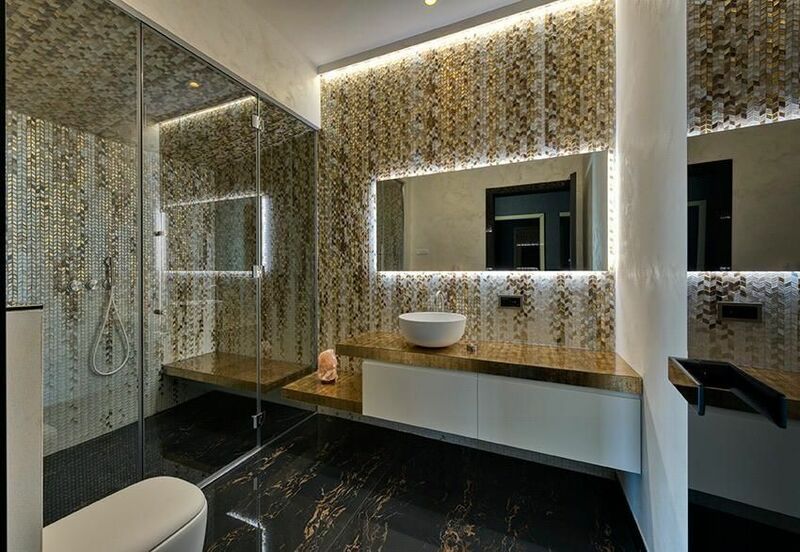 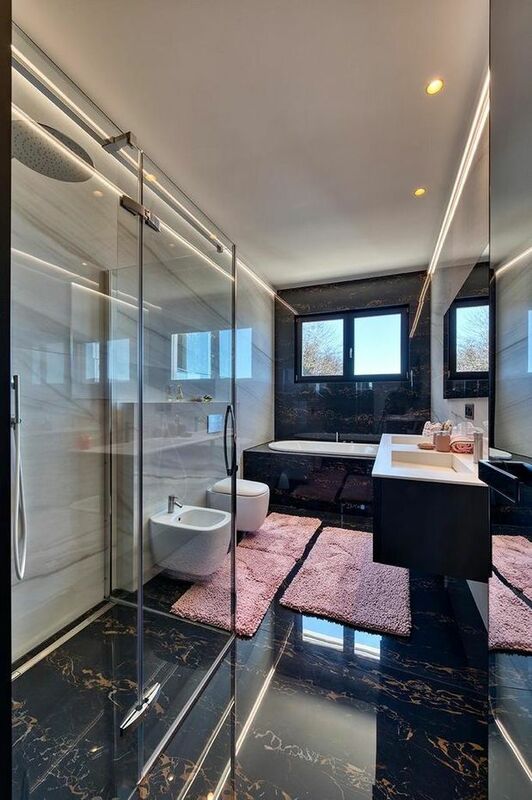 Magnificent luxury apartment with Roberto Cavalli Decor is located in Montagnola (Collina d'Oro), just 6 km from Lugano, in one of the most prestigious neighborhood with beautiful view of Lake Lugano and surrounding mountains, close to the American school TASIS. 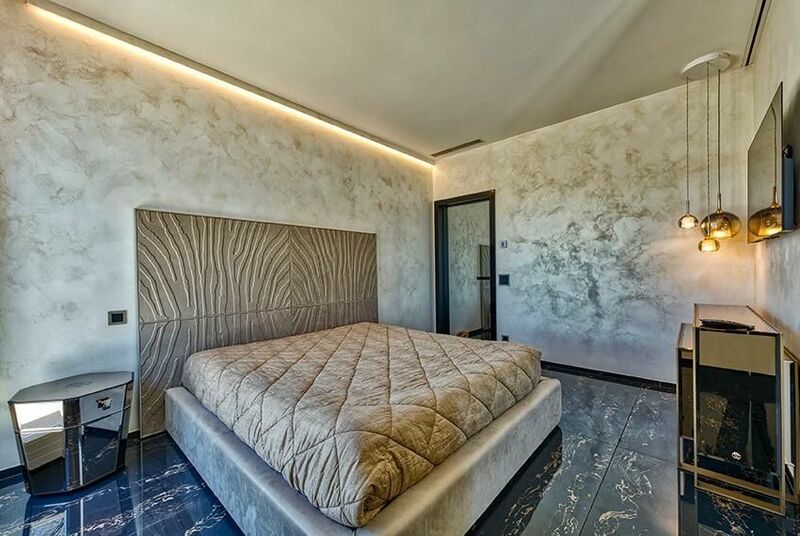 The apartment is located in a residential complex consisting of only 4 flats. 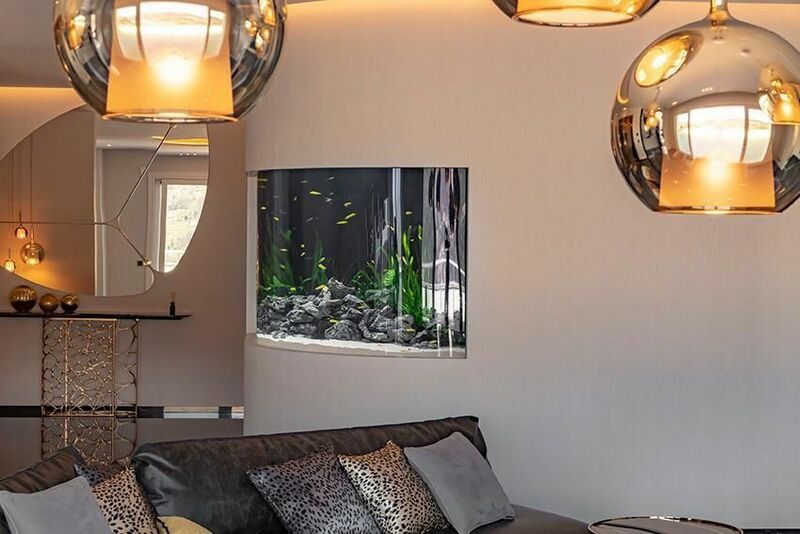 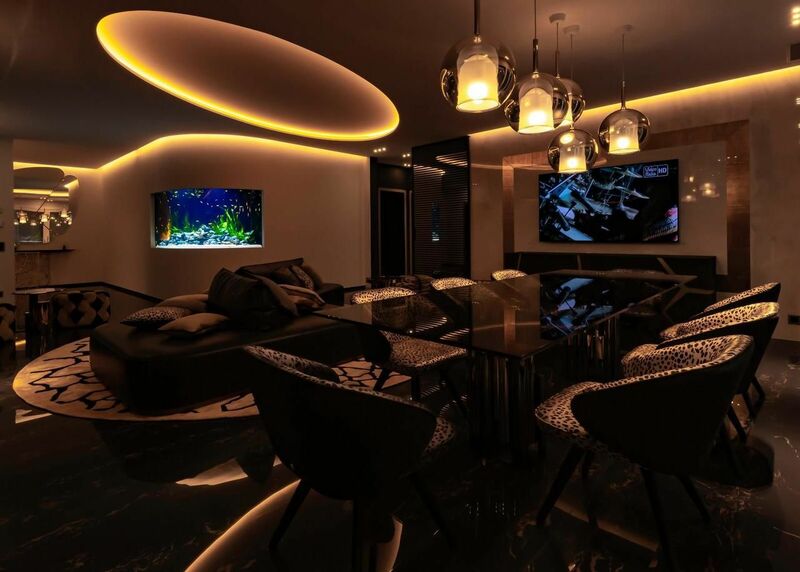 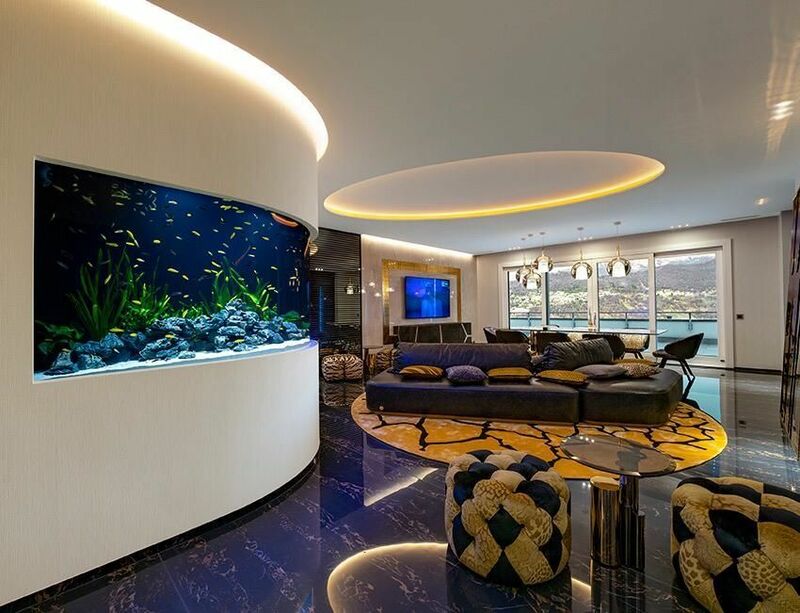 The 220 sqm apartment consists of a fabulous open space living room with beautiful aquarium and exit to the large 170 sqm terrace, spacious kitchen with island, 3 bedrooms, large walk-in closet, 3 bathrooms. 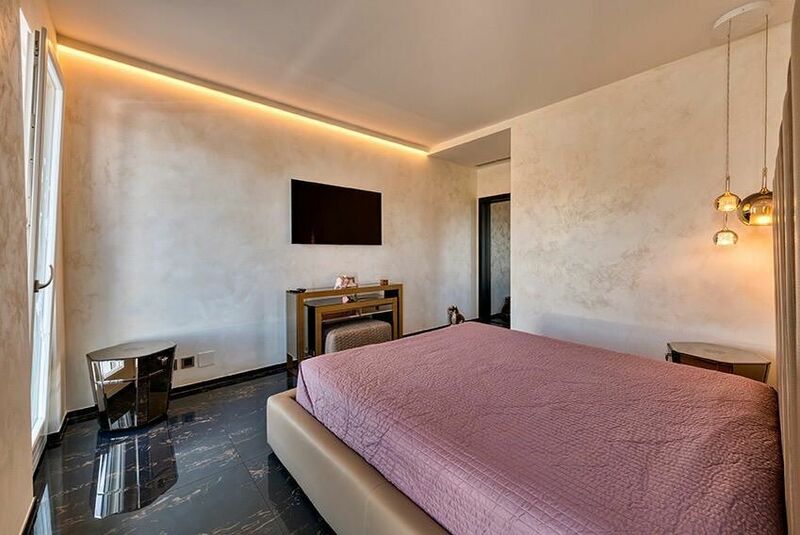 All rooms have an exit to the terrace and the 130 sqm garden with an outdoor shower and Jacuzzi. 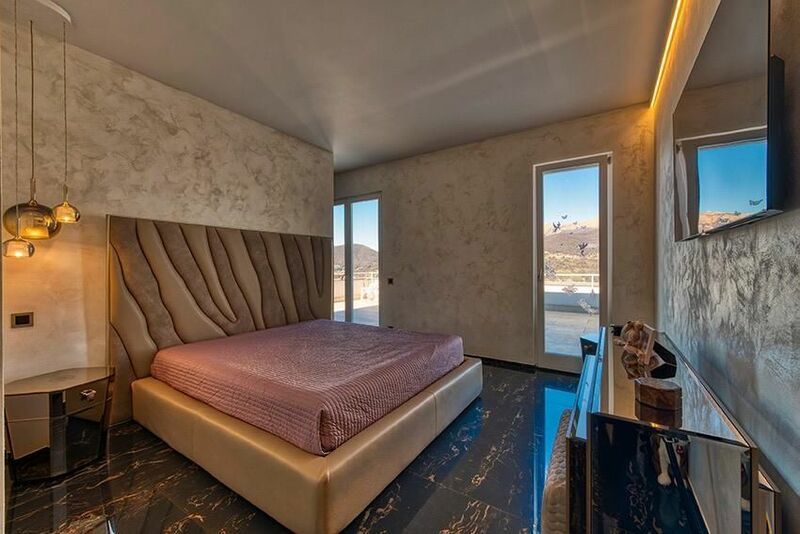 The property also comes with a cellar and 2 parking spaces in the garage.